The road to the top of the mountain in North American motorsports hasn’t been an easy one for Ryan Preece. 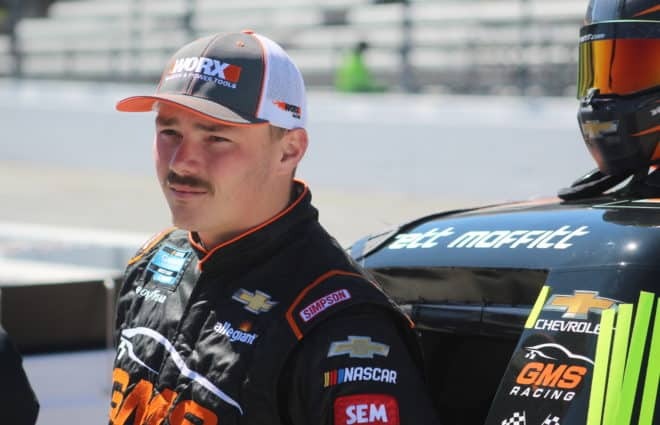 The 28-year-old now Rookie in the Monster Energy NASCAR Cup Series has cut his teeth in the Whelen Modified Tour in the Northeast before stepping into the NASCAR National Series scene. 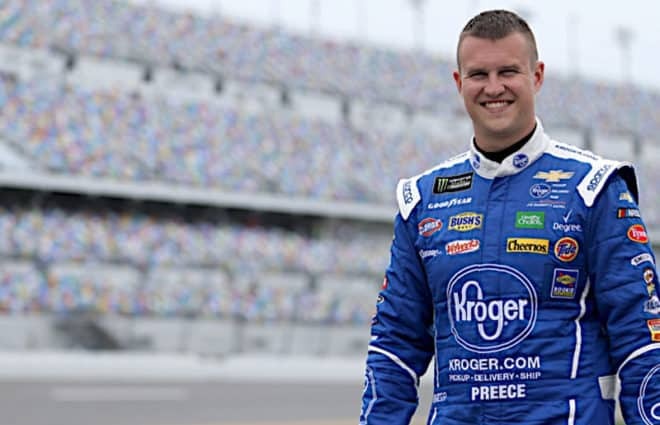 After running mid-pack with a couple of different teams for a couple of years, Preece decided to bet on himself and leave JD Motorsports. The bet paid off, as he scored a couple of races in Joe Gibbs Racing equipment in the Xfinity Series. He was able to win a couple of races and earn a shot at the Cup level with JTG Daugherty Racing. He kicked things off in his first full-time Cup season with a top 10 finish in the Daytona 500. 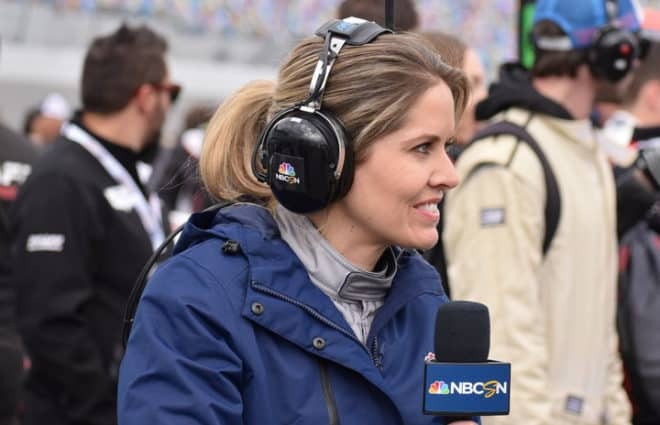 Frontstretch’s Davey Segal caught up with the Berlin, Connecticut native at Las Vegas Motor Speedway for a wide-ranging conversation. Davey Segal, Fronstretch: I saw a headline after Daytona. 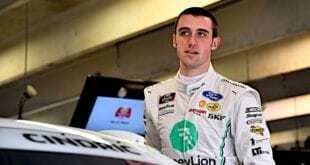 It read: “A short track star from Connecticut finished eighth in the Daytona 500”. That’s pretty cool. Ryan Preece: It’s pretty cool. Would have been better if it was even further up, but it was a good day. That was my first Daytona 500. First finish at Daytona let alone anything else. That was the goal to just finish at a superspeedway and we did that. That was good and we had a really good car last week (at Atlanta) and that was even better. Make you excited to come to some of these mile and a half. Segal: You’re a 28-year-old rookie. 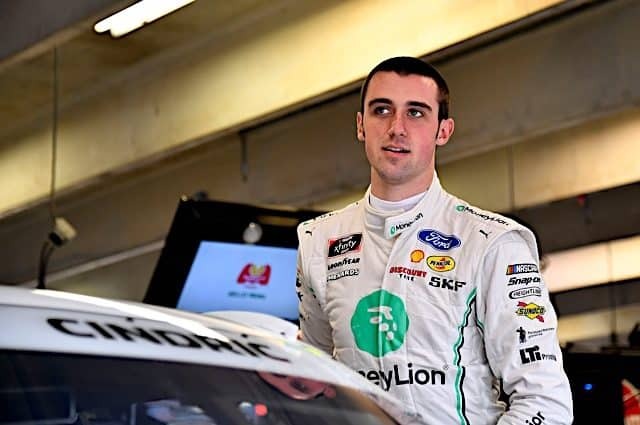 It’s a change of pace from baby faced William Byron, Erik Jones and everybody isn’t it? 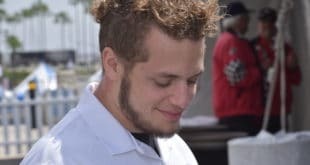 Preece: It’s just the way my path was. I’ve been racing since I was six years old. It’s taken a long time to get here but I’m here. You know what’s funny is Daniel Hemric is the same. I think he’s 27, 28, and we’re both rookies. We both had our own ways of getting here and it’s good that we’re here and fighting for everything we can. Segal: Modifieds are always going to be your first and biggest love. Why do you think it’s so important to keep those roots with you while racing Cup? You’ve already “made it,” so why keep going? Preece: Just because I’m from the Northeast. It’s just—Modifieds are pretty much born up there. A lot of big stars. Richie Evans, Ted Christopher, Bugsy Stevens, Mike Stefanik. A lot of great drivers. Steve Park, Ron Bouchard, Kenny Bouchard. A lot of guys. It’s funny, down here it’s almost like they’re irrelevant in a way. People love ‘em, but I don’t know. I love everything about a modified. With ice height rules, they’re two inches off the ground, static, and they got 15-inch tires, 650 horsepower. It’d be greater if we had like 850, but they’re race cars. Preece: Yeah, I love it. That’s my free time thing, that’s my passion. It’s my release. This week on Monday, Tuesday, whatever day it was, I went and worked on my Modified for the first time since I got home from new Smyrna. Cleaned it, and I take pride in stuff like that. That’s just fun to me. Segal: You like working on your cars. Not a lot of drivers in Cup nowadays still do that. Preece: I like building speed. I like having fast cars, so that’s why I like working on my cars because I have control over my own fate when I show up to that racetrack and I can’t be disappointed in anybody but myself. That’s what I enjoy about it. Segal: Do you work on the Cup cars too or are you hands off? Preece: They say no, hands off. At the same time, I trust Tristan (Smith, crew chief) a lot. He’s a smart guy and we’ve almost started this thing where he comes over for dinner on Tuesdays and we go over the weekend before and we also plan on what we’re doing planning on doing going into the next weekend. Our communication—I’m really excited about everything. I brought something up about how the car should drive when you do certain things and the answer he spit back at me was what I’ve been looking for out of somebody for a long time. It was pretty cool to know he has that same understanding of how I feel a car can work and should work. Segal: Let’s go back for a second. When you left JD Motorsports on a whim before you wound up at Joe Gibbs Racing, what’s going through your head? Did you have a plan past the races you knew you’d afford? Preece: I had no plan. When I left Johnny Davis, I had no sponsors, I had nothing. I was going back to race for my Modified owner, win races and that’s it. I had no plan really of going to run Xfinity or anything. It just happened that Carl Edwards retired and a guy who’s garage I was living in when I was in North Carolina told me ‘hey you have to call Steve DeZouza,’ and that’s how that all got started. When Steve called me back and said what it would take, I called everybody and anybody I could to make it happen. And it all worked out. Segal: Legit you had no plan? 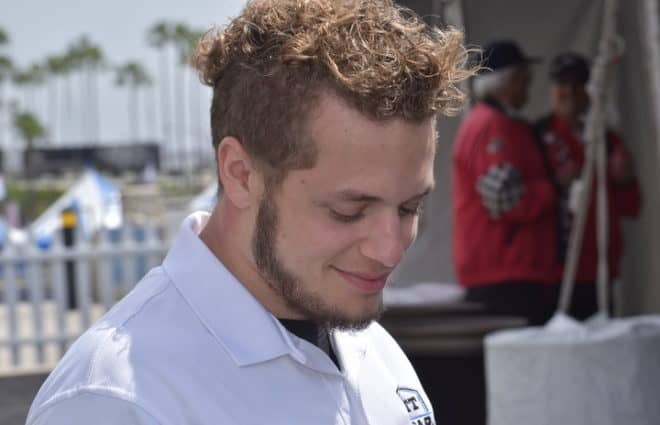 Preece: For about a month and a half when I was getting cars ready for New Smyrna, it was show up, get there at 7:30, and work until whatever time it was and that’s what it was going to be. Segal: She ever beat you? Segal: You just don’t want to admit it? 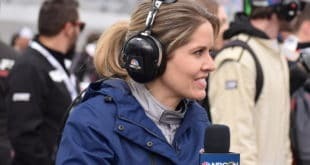 Preece: I was talking to her, I was like ‘what do you think of running New Smyrna next year on a Tour type?’ I might have to get her a seat made and play crew chief for her or let her drive my car next year but we’ll see. Preece: He does it for Kenzie, I know! We can have a females race or something. It would be crazy. Segal: The better half dash? Preece: Nah, we need to have more horsepower behind ‘em. We gotta have more than whatever they have. We’ll put ‘em in something real. Preece: At the end of 2014 I got a call from him saying (he’s) going to make a change and if I wanted to come drive for him. That was going into 2015 and my thing was I wanted to race a lot. He was all about racing. That’s how I got started with him and obviously I went down in 2016, did the Xfinity stuff, raced part-time for him. And then in 2017 when I moved back home, he gave me a full-time job working on the car, getting prepared, setting them up and driving for him. He’s been a huge part in keeping me afloat, racing, keeping my career alive and keeping me competitive. Preece: At short track levels there’s a lot of those guys out there like myself that they help race. Him and Kathy and Albert Monez, they’re another huge part of this that I raced for. Along with Al Hanke from mohawk. There was a lot of great people that helped me get here and I’m lucky to be surrounded by great people. Segal: What are their reactions when they see you winning in the national series and now racing on Sundays at the top level? Preece: They always shoot me text messages, I talk to Kathy and Al quite often. I talk to Eddie—I’m still preparing one of his cars to run some tour races this year. He’s bringing the car down this weekend and I’m still working on that stuff. I talk to him a lot. All these people aren’t just owners or sponsors. They’re friends. I’m lucky to be surrounded by them. Segal: FansChoice.TV is streaming every K&N and Modified race now. Big deal for the series and community? Preece: It’s a big deal for mods because those guys work hard. If you talk to any media member about modifieds and going there, it’s just a different atmosphere. A lot of people are excited, a lot of them are volunteers. These racers—this is their weekend thing. This is their golf game. They take it extremely serious. It’s not like ‘I want to make it to here and if I don’t get here, I’m done.’ This is their passion. When you go to a modified race, the claws come out. It gets rough. I enjoy that atmosphere. I respect each and every one of those guys and all the people that own those cars because they spend a lot of their hard earned money to be there. Those racers, they sacrifice a lot with their families, not being there in the summer and going on vacation. They do it because they love racing, they love the sport and they love winning. That’s what excites me about FansChoice.TV. It may be opening up some possibilities where it may help them a little bit. I’ve always said if we can get about 200 more horsepower, it’d be like the World of Outlaws on asphalt. There’s just so much to a modified. When you go to a WoO race, it’s not something necessarily exciting about the race they’re putting on, its just how cool they are watching them go around the track. It’s the same thing with a modified. You see one of those hit the race track, they’re just mean. 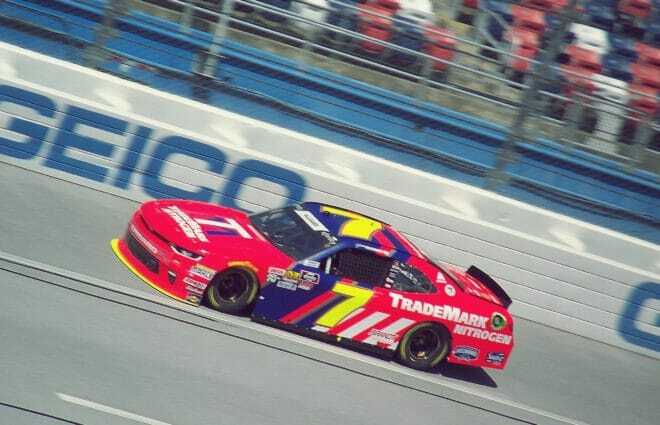 That’s something I think is cool about these Cup cars now. What I love about them is the no ride height rule. They’re on the ground, which makes them really cool to look at. Segal: What are your realistic expectations for this season? Preece: Top 15’s and top 10’s. Consistently keep moving up. If we just keep going down the right road, keep finding speed in our cars. If we just keep going down the right way, finding the long run speed in our cars, keeping out nose clean, there’s no reason why we can’t finish top 15. We were beating a lot of these powerhouse teams. I know Ernie and Tad and Jodi and Brad, what they expect out of this, there’s a lot that’s been put into this program over the past 4 years. I feel good about it and I really—after last week, running top 10 and being there,—I feel good about consistent top 15’s, top 10’s now. In five or six races, maybe we can say top fives. That’s how you build. We just gotta keep doing that. Keep making gains speed wise, drivability wise and honestly never stop trying to find more speed. Preece: It’s almost like the new package that everyone keeps talking about. Pick up, ship, deliver. If you’re not in a Kroger marketplace, you an actually get your food shipped to you which is exciting because I’m from Connecticut, we don’t have that so we can get groceries shipped to us from Kroger. I support those that support me and our team. Previous NASCAR Mailbox: Could We Ever See a Great Rivalry in the Sport Again?